Many new website owners do not know that there is a difference between a domain name and hosting, and in many cases, it is because they bought it as a service package, albeit hosting included a free domain name or vice versa. Truth is that they are two separate services but they are both needed for your website to function properly. In layman terms, the relationship between a domain name and hosting can be described relatively easy. The domain name is a “bridge” between your website visitor browser and your website hosting. 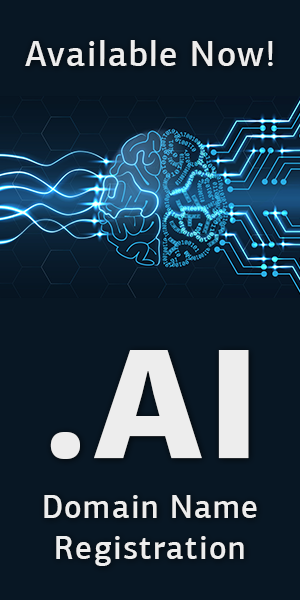 The domain name is the human-readable address of your website, which is transcoded into a numerical address for computers. On the other hand, hosting is the place where all your website data (coding, scripts, images, and media) are stored. When a user wants to visit your website, first he will have to know your domain name – from a previous visitor finding it through an internet search (search engine). Using your domain name in an internet browser, visitors will receive the website content you have prepared for him. The domain name your website is using must be original, memorable and catchy because it is a visible part of your branding and online presence. The internet as we know it is an enormous network with millions of computers interconnected with cable or wireless connections. Each of these computers, including your own, use a numerical (IP) address as a form of unique identification to be able to communicate with each other. Yes, the numerical address is ideal for computer communication, but for human use, it would be a very bad choice because it would be hard to relate and remember. That is why internet experts devised a domain name system (DNS) which makes use of a domain name as a solution to this problem. Domain name system serves as a directory for online places, albeit computers or websites. READ MORE How to protect your business or brand online presence? Domain names can consist of letters and numbers, though it has proven ideal to use keywords and relatively short domain names that are easy to remember and relevant to the website content. Because of this need to be human readable, original and catchy, experts have produced rules which can define the quality of a domain name. Both a high-quality or bad domain name essentially serve the same purpose, which is to lead a visitor to your website, but a well-thought high-quality domain name will serve its purpose in a better way. How are domain names and web hosting related? Your domain name (address) will lead to the hosting server with your website (home) where all the data needed for your online presentation resides. These hosting servers are provided by companies specialized with website hosting and online services. Hosting service quality can have an impact on your visitor browsing experience. Good, quality hosting will serve your website better as the website visitors will enjoy a better browsing experience with shorter loading times, which can influence higher visitor traffic and consequently higher profit. Domain name and hosting can be purchased as a single service, or separately, with one company or with two different companies. This choice resides on a multitude of factors, ranging from service price to free extra services, domain renewal price … etc. How to improve your domain name and hosting? Your domain name may be a perfect match to your company name, but still, it could be a suboptimal choice, for example, if it is a very long or complex domain name that can induce typing errors with users. This does not mean you have to abandon this domain name, but the situation can be improved by adding a smaller number of keyword or product branding domain names with a proper 301 redirect to your main website. READ MORE Cybersquatting on a popular brand name? Domain name redirect is not a technique that will improve your domain authority directly, but it may drive additional traffic from search engines, with users who search by using product names and words. 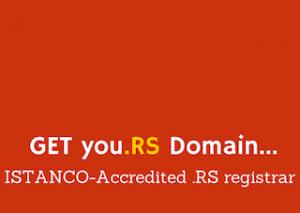 The overall monetary investment may not be more than what the domain name registration costs. A small number of ccTLD domain names with regional or country code extension may be the best choice, aimed at targeting a certain region or language speaking audience. The ccTLD can offer the benefit of being favored over gTLD in a local search by search engines. Hosting services that are somewhat lacking in the server performance department can be somewhat improved by using a content delivery network (CDN) and data caching services. WordPress websites can introduce these improvements relatively easy, while in a specific case you may have to consult your hosting company about using such services and how much they would cost. If the hosting and CDN services largely exceeds a higher-tier hosting service, you should make consideration into upgrading your hosting or transferring your website to a higher-quality hosting company. Note that while moving to another hosting company you should not have to change your domain name, though if it was included as a free service with hosting you may have to pay for the full year registration period in advance. It is a good thing to know how domain name and hosting are related, and what are the characteristics of both services. Search engine algorithms are changing and evolving, and having both domain name and hosting as separate services may be the best choice so you can optimize and improve upon them individually when it becomes necessary.